Is Your Blog Showing a "Not Secure" Warning in Google Chrome? Is Your Blog Showing a “Not Secure” Warning in Google Chrome? Have you noticed that your blog is showing a “Not Secure” warning in Chrome browsers? 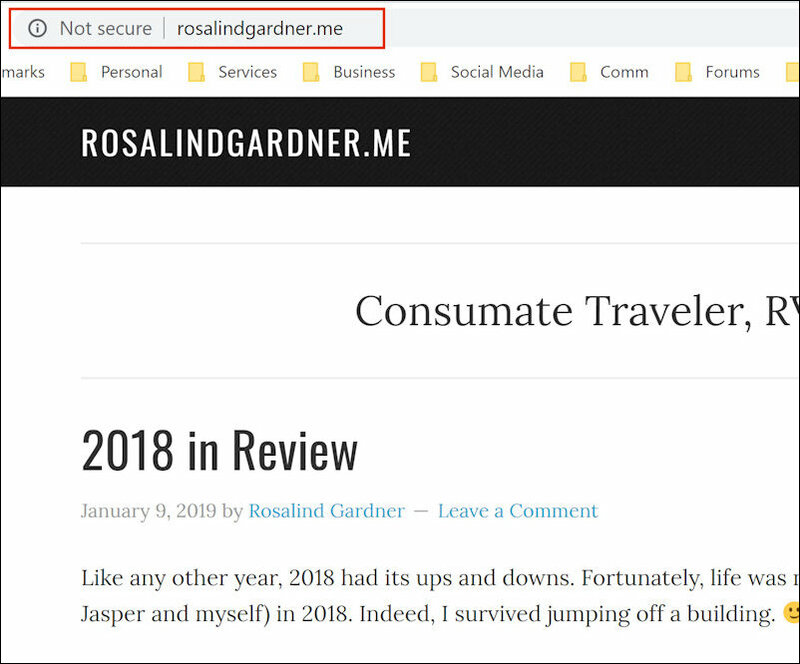 I was concerned about what that “Not Secure” warning label meant and how visitors would perceive my site by result, so I started doing a little research to find out why that was happening and what I could do about it. The reason you see a “Not Secure” warning is because the web site or page you are on does not provide a secure connection. The difference is between HTTP and HTTPS, not secure and secure. And nowadays, it doesn't matter whether your site collects sensitive data, like credit cards or social security numbers, or not. Google is flagging ALL unencrypted websites, meaning those that show HTTP (do not have an SSL certificate installed) will cause the “Not Secure” warning. The “Not Secure” warning means that the site lacks an SSL certificate. An SSL certificate is a digital certificate that authenticates the identity of a website and encrypts information so that passwords, addresses or credit card numbers can not be intercepted or read by anyone other than the intended recipient. By the way, SSL stands for ‘secure sockets layer’. So, to remove the ‘Not Secure' label meant having to find out how to get an SSL certificate. In my case, that was pretty easy. 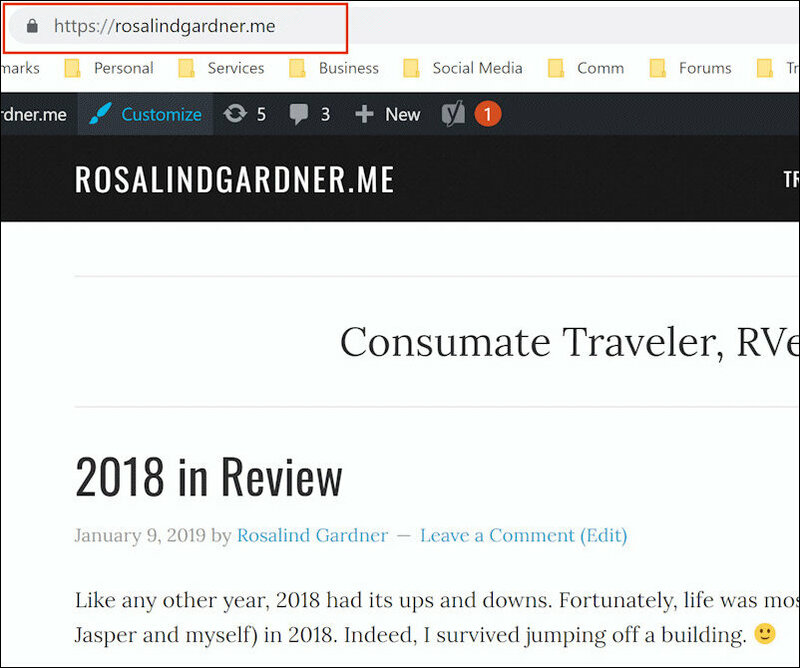 I host my blogs with WebSiteManagers , and under ‘AddOns' in their client area, I found SSL certificates that cost $29.95 per domain, per year. I bought one for my personal website, just to see whether or not it would work. Jim, the owner of the hosting company, sent me an email message to say that the SSL certificate had been installed and also reminded me that I needed to change my URL's in the WordPress Adminstration Panel. That's what I love about hosting with a company like WebSiteManagers. Their service is always super quick and personalized. We know each other on a first name basis and Jim knows me well enough to send me a reminder about what I need to do, without having to go through the ticket system. I also know that if I hadn't made the changes required in a reasonable timeframe, he would have phoned me to gives me the heads up. Too, according to one of our readers, Michael K., HostGator offers free SSL certificates with their hosting packages, and you just give them a telephone call to have it set up. Too, you also need to install a plugin. 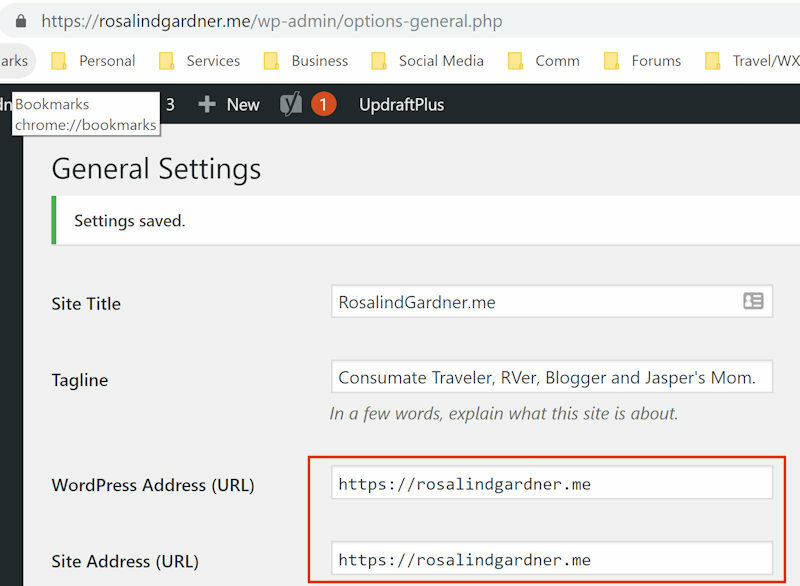 Here's how the original URL's appeared under General > Settings in the WordPress Adminstration Panel. And here is how they appear now. And lo and behold, my site is no longer showing the ‘Not Secure' warning! After seeing it work, I purchased SSL certificates for each of my other 5 domains, which worked out to a total of $179.70 for all of my domains for a year. Not bad, considering that's a drop in the bucket compared to what those domains earn. Not only that but their earning potential INCREASES by having those SSL certificates! So, WHY is having an SSL certificate important? When some surfers see ‘Not Secure', they runs way from your site, whether or not you really have a need for encrypted information. Moreover, showing that your site is secure gives you an advantage over your competitors who have not yet converted to HTTPS. So, is your site secure or not? Please feel free to leave a comment, question or suggestion below. Namecheap hosting also offers free ssl certs. Thanks very kindly for letting us know! I’ve been curious about this and have seen even well-known websites with this warning. Thanks for clearing it up. 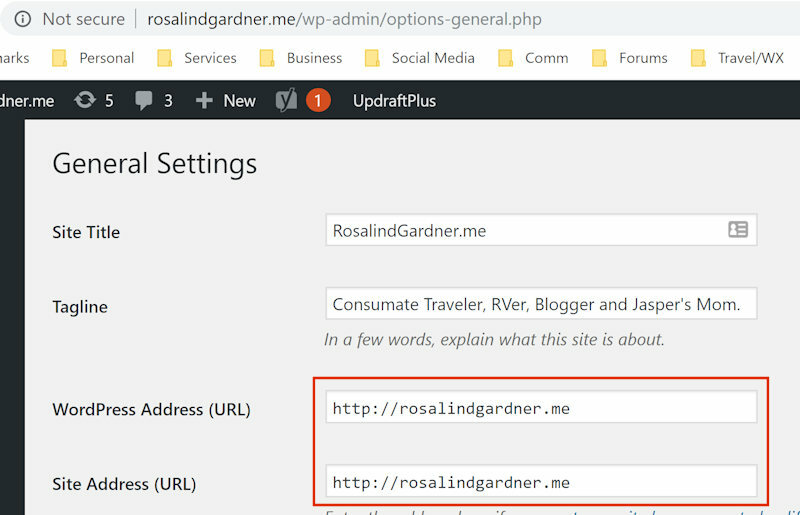 I have a question that I hope you can help with: how does changing the URL in your WP Admin Panel affect past links? For example, if I’ve linked to another post on my blog in a previous post, will that link no longer be active? You may want to install a wordpress plugin and look at the redirects as applicable. If your hosting company is hostgator.com, you get a free SSL – I found it easiest to just give them a call to set it up. You will need to install a plugin on your website and activate it, but this is all pretty simple. I found this out late last year as I prefer to use as many services from my trusted providers as possible, and this one was a winner! I hope you find this useful. Thanks so kindly for letting me know. I added your good information to the post!